Root canal therapy (also known as endodontic treatment) is commonly used to treat advanced cavities and infection that affects the soft tissues in the central canals of the teeth. 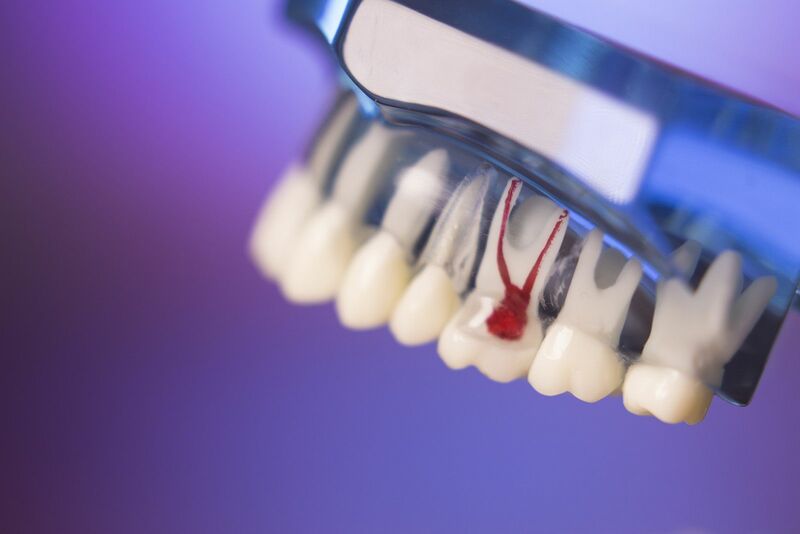 The procedure can also prevent tooth loss when a tooth is cracked. If you have a cracked tooth, you should seek dental treatment immediately. Left unaddressed, cracks will not heal on their own and they make the tooth more vulnerable to infection. Dr. Bruno Lemay offers endodontic treatment at our Palm Desert, CA area practice. If Dr. Lemay can treat your tooth early, he may be able to save it from extraction. Learn more about root canal therapy for a crack tooth. Cracks can result from injury, bruxism, or simply biting a hard object. Age is also a risk factor for a cracked tooth. As patients get older, the teeth often become more brittle and weaker. A cracked tooth is usually first noticed by the sudden onset of sharp pain. Some patients report intermittent pain after their tooth is cracked. If you experience the sudden onset of pain from one of your teeth, seek medical help immediately. Catching a cracked tooth early enough may be the best way to prevent a tooth extraction. Small cracks, known as craze lines, are superficial and cause no pain or discomfort. More severe cracks and fractures can split the tooth or extend downward toward the root. Dr. Lemay will examine the location and extent of damage caused by the crack or fracture during your appointment at our Palm Desert area practice. If the crack has not reached the gum line, root canal therapy may be able to save your tooth. If the crack or fracture extends from the crown down through the gum line, then your tooth may need to be extracted and replaced. During your examination, Dr. Lemay will examine your tooth to determine what type of crack you have and if it requires treatment. During root canal therapy, your tooth and the surrounding area will be numbed. Dr. Lemay will then make a small hole in your tooth to access the root canals. The soft tissues inside the root canals will be gently removed, and a synthetic material will be used to fill the vacated cavity. Depending on the severity of your crack, Dr. Lemay may seal the tooth using a strong, tooth-colored filling, or he may recommend placing a dental crown. Following treatment, you will experience immediate relief from pain. Once your filling or dental crown is placed, you will be able to enjoy fully restored oral function. Unlike many other dentists, Dr. Lemay has advanced training, skills, and expertise to offer advanced endodontic procedures. If you recently experienced an injury to your tooth or believe you are suffering from the symptoms of a cracked tooth, contact our office immediately to set up an appointment for Dr. Lemay to examine your tooth. You can reach our office online or by calling us in the Palm Desert area at (760) 324-4450.